A friend asked me if I could use a few small grapevine wreaths that she was getting rid of. They had some decorations on them and I figured I could make something out of them, so I said yes. They've been hanging out in my craft stash for a while now and I finally decided what I could use them for. They would be perfect as the "O" in a word. 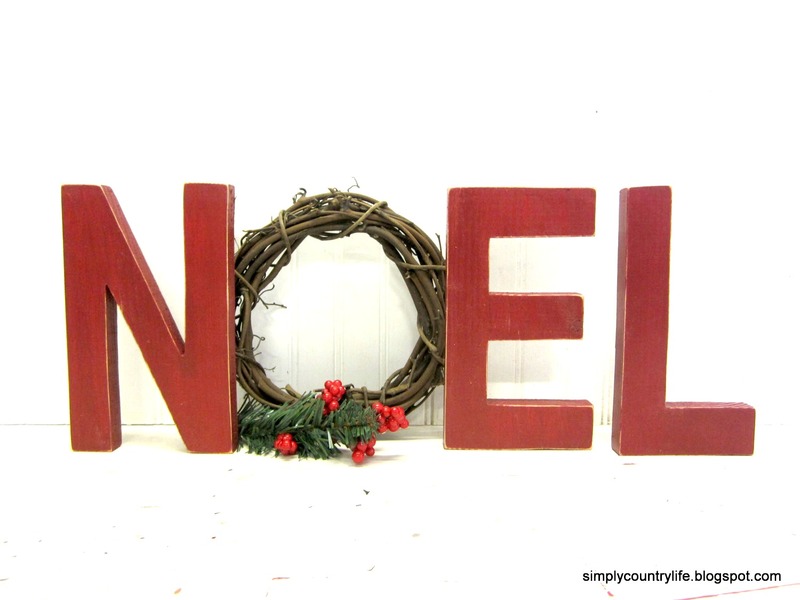 I decided to make the word NOEL. I was thinking about JOY, but wasn't sure if I could cut the curve in the J very well. I found a scrap 1"x6" pine board and drew the letters N, E and L onto the board. The wreaths are 8" in diameter, so I made the letters 8" tall. I cut the letters out using a band saw. I actually made 3 sets of the letters because I had 3 grapevine wreaths and enough scrap wood. I sanded the rough edges and gave the letters a few coats of red paint. After the paint was dry, I sanded the edges again to give the letters a distressed look. and the word NOEL was complete. to spell the word LOVE for a Valentines vignette. I have a set on my mantle. I took a set to my booth and I have a set available in my Etsy shop here. 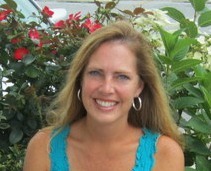 Everything you do on your blog is cute, Adina! Glad I stopped by.